Our approach is simple. 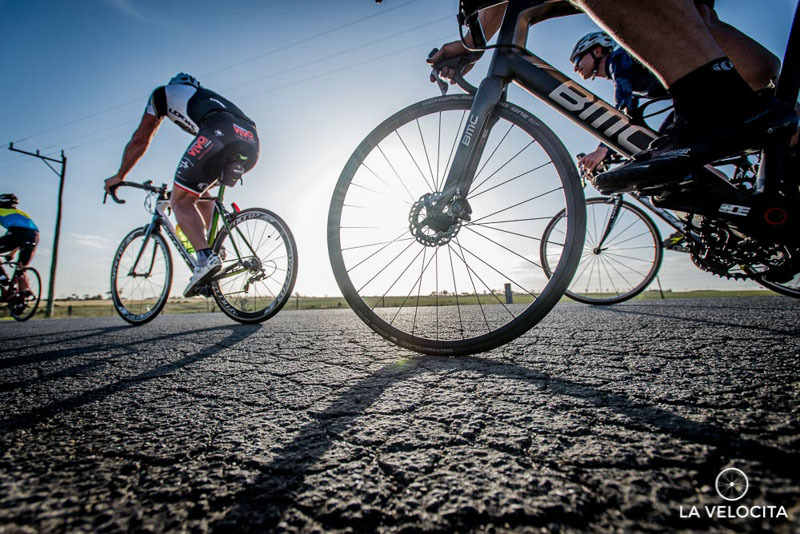 We stock only brands which offer the best performance - BMC, Giant, Pinarello and Salsa. Bike's that we would buy ourselves. We can offer well-rounded advice to help you get the most out of cycling whether buying your first bike, or a professional rider. We run two well attended shop rides per week, meeting at the shop at 6.30pm on Wednesday night and 7.00am on Saturday morning. So come in and check out our range of bikes, accessories and clothing. Established in 2009, Essendon Cyclery is committed to providing you with the best advice to get you on the bike that is right for you. Our approach is simple. We stock only brands which offer the best performance. Bike's that we would buy ourselves. We stock the full range of the brand, so you get the best product in right size. It’s simple, it works. Gareth and his team have a great depth of cycling knowledge. We can offer well-rounded advice to help you get the most out of cycling whether buying your first bike, or a professional rider. We stock a full range of bikes from BMC, Giant, Pinarello and Salsa. Come and join our Essendon Cyclery shop rides on Wednesday and Saturday. Our ride's cater for all abilities from those looking to push past their limits to those just getting into the sport. We'll help you with any mechanical issues you may have along the way and help those wanting to improve their bunch riding skills. Wednesday - 6.15pm - Approximately 40km loop to Melbourne Airport. Saturday - 7.00am - 60km to 70km - Beach Road, Mount Pleasant or Mount Ridley return. Note - no cleaning or replacement of parts is included. NOTE: Above prices are subject to change and do not include parts. Building wheels is one of Gareth’s favourite tasks, and his skill at this is still a very well-kept secret in Melbourne’s cycling community. If you have a particular combination of hubs, spokes and rims in mind, or even if you don’t, and want to consult with us about wheels for your particular needs, come in for a chat and we can build your ideal wheelset.